To complete this step you must log in to Visual LANSA as the Partition Security Officer. 2. Select the Compile icon. Your Version 1 install used a product version number of 1.0.0, which is the default value. As shown, set a File Version which is one higher than the current Product Version, that is 1.0.0.1 in this case. For more information, refer to Set DLL Version Information. 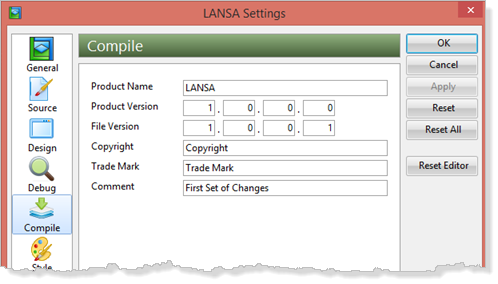 For more information, refer to Set DLL Version Information in the LANSA Application Deployment Tool Guide. 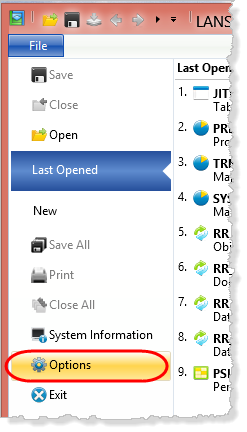 4 On the Favorites / Last Opened tab, select the four reusable parts which you changed in DTE030 - Modify the Employees Application and recompile them. 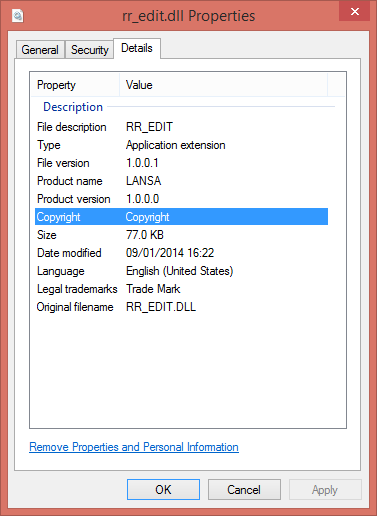 The DLLs now contain the new File Version information.